Sakai Community DocumentationSakai 19 User Guide (English) RubricsHow do I grade an assessment (i.e. test or quiz) using a rubric? From the Actions menu for the assessment you want to grade, select Scores. Tip: You may also select the number in the Submitted column to go to the student submissions for an assessment. To grade one student at a time, select the student's name for the submission to be graded. 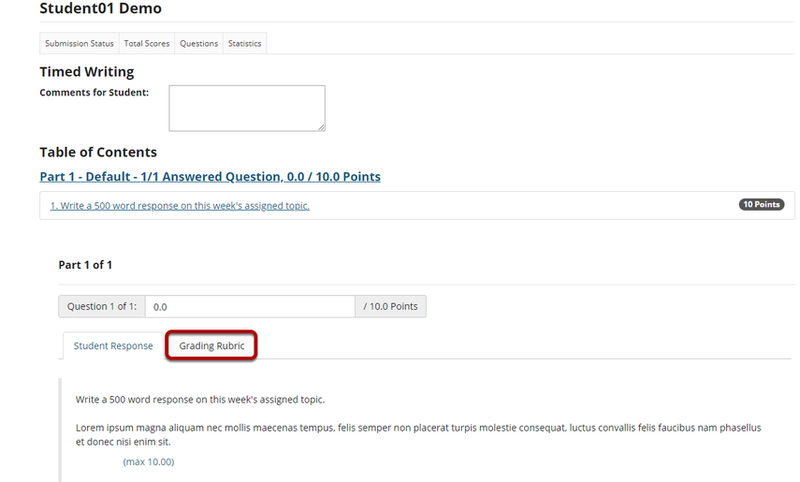 Select the Grading Rubric tab. Select Update when finished grading the assessment. Alternately, you may select the Questions tab to grade one question at a time for the whole class. Select the Rubric icon for the student you want to grade. Select Save when finished grading the question. 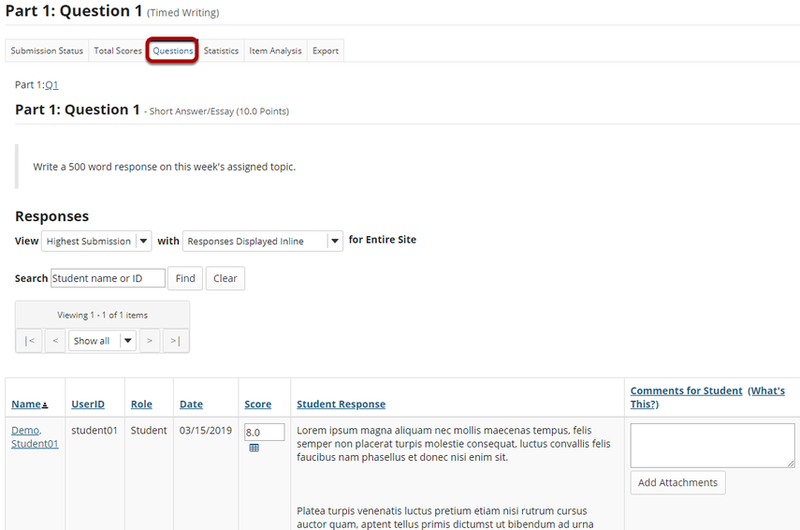 Prev: How do I grade a forum topic using a rubric? Next: How do I grade a gradebook item using a rubric?